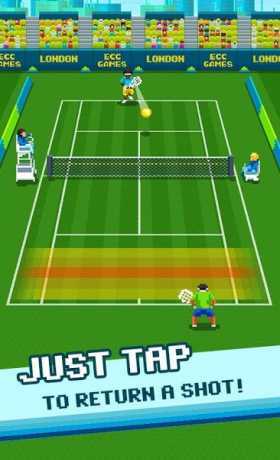 One Tap Tennis is a sports arcade game where you have to play tennis with just one finger. When the ball approaches the zone, just tap – it’s as simple as that! Challenge your friends or compete with the world’s best One Tap Tennis stars as you smash your way through a whole world’s worth of tournaments. Tap at the right time and you will send balls flying back across the court. Do it when the ball reaches the red zone for a better shot. There’s no need for hours on the court, jump into a super short match or power your way through Tournaments from Tokyo, to Berlin, from New York to London, and beyond! Want to be the World’s Number 1? Tap on World Ranking Matches to go straight into the global charts! Unlock crazy customised characters including a Bear, a Spaceman, a Bee, and a Zombie to name but a few! 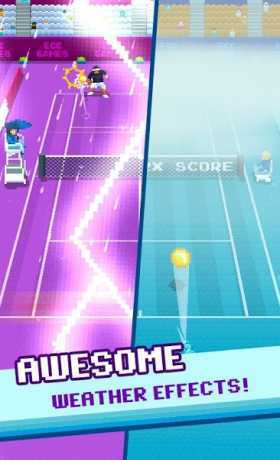 Show off your tennis ninja skills by taking on a frenzied bombardment of balls from the crazy automatic ball launcher and unlock more characters as you play. 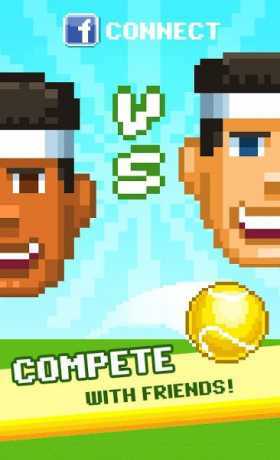 One Tap Tennis looks timeless with its stylized 8bit graphics look!